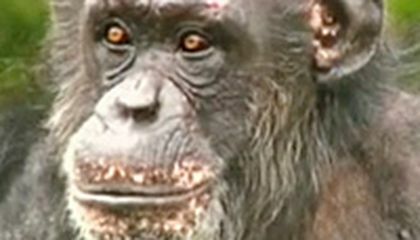 Humans and chimps are alike in many ways. We share 98 percent of our DNA with them. DNA is the basic building block of life, and includes the genes that make you who you are. You can't see DNA. It's inside your cells. Now that's small! That two percent difference in DNA between us and chimps doesn't sound like much. But it is. Even though we have 98% of the same DNA, it doesnt mean were 98% identical. For instance, a banana shares about 50% of the same DNA as humans. Youd never confuse one for the other. Little differences in DNA make us different. Humans and chimps are alike in many ways. But we also have big differences. Pound for pound, chimps are stronger. But they cant throw as well. They can communicate simple ideas, but they dont really get pointing. Both species are remarkable enough on their own. I already knew that chimps are the animal most alike to humans, but 98% that is a lot even though the reading said it wasn't. Also I think it was interesting that chimps and apes couldn't communicate like humans. I thought they could communicate well. 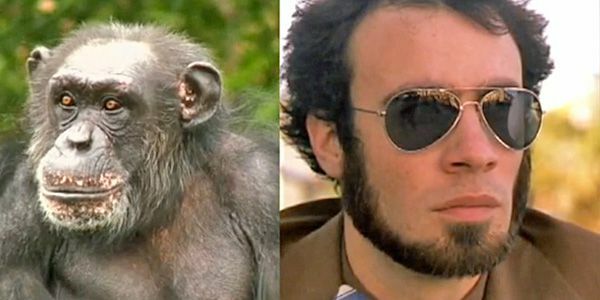 if a chimp could be a man i would passe out for 7 days. I've known that humans and chimps share the same 98% of the same DNA. chimps are amasing. I didn't know that chimps couldn't throw as well. I liked the way that you stated and re-stated your point .